Although, wedding is one of the most important event of anybody’s life, there is a list of handful of functions and events which are equally important to the people of the related fields concerned; like business meetings, conferences, Agm, live shows, music album, documentaries, ad-making are only to name a few. Therefore, in the light of the importance and success of all the above mentioned events, there is a need for specialized and talented team to plan, manage and organize your even with giving due consideration to the client’s budget. 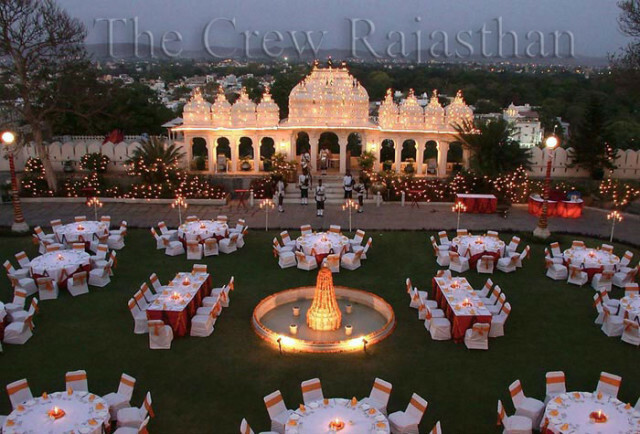 The Crew is one such event management Company which masters in arranging Film/Ad/Short Documentaries and also advice the clients on how to plan shoots, traditional and royal destination wedding, meetings, events, shows and conferences in addition to helping them with the transportation, hospitality, catering and accommodation departments. Covering the areas of Rajasthan and Gujarat The Crew Team arrange for events or shooting and also give support to the film producers or businessmen to get permissions from various government and private authorities to held a meeting or do a shoot. Specializing in arrangement of shooting various ad Films, short film, promos, serials, songs, commercials, etc. the Co. fully help the producers with the infrastructural facilities and also accommodation including luxurious, heritage hotel or a budget kind of stay and that too equally balancing the budget part. With the rapid growth of entertainment sector, shooting for any project requires a large amount of effort, systematic planning and an exact location to match the purpose of the shoot and the Co. effectively combines all these factors by bringing together all established professionals from various fields like choreography, stunt-men, makeup artists, dress men, etc. in addition to arranging for animals like elephants, horses and camels if needed. Chopper and charter planes can also be provided for aerial shoots. If required, they can also acquaint the client with junior artists, models, dancers, crowd and folk dance troops so that the flow of shooting does not get affected by the absenteeism of these factors. Also, the location of the shoot matters a lot for the success of the shoot. Attractive locations always leaves its footprints in the minds of the viewers and the Crew team fully understands this point and thus help you in fixing a good location which could suit the purpose of your project. They first mail the photographs of various mountains, rivers and scenic shots to the client to choose from. They can also take you on a Reece for the location scouting and once the client has chosen the location they arrange for the permissions and legal formalities included thereafter. So, be it a formal business meeting/conference/shoot or an informal wedding/function, now you just have to contact The Crew team for effective management of your event. 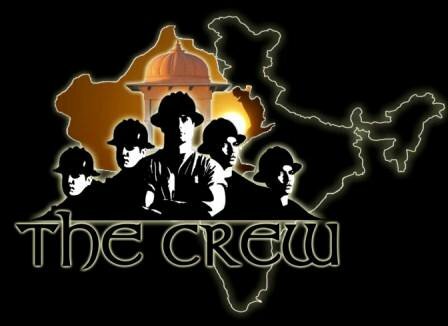 This is 3rd article on The crew By Udaipur Blog…its will mile stone for us. its looking gr8 stuff .. best of luck my friend.. hope you will do great in life ..